Sekib Sokolovac is the Head of the Governmental Organization in Bosnia and Herzegovina. He is graduated from Medical Faculty Sarajevo in 1983. He is awarded as the specialist in Internal Medicine in 1994. He has done Master of Science in 1998. He was awarded PhD in 2004. Mr.Sokolovac is a fellow of University California Irvine, Oxford, AKH Vienna. He is specialist in both Cardiology and Rheumatology. He had started working in University Clinical Center Sarajevo from 1990 in the Department of Cardiology. He is the Director of Excellence Center for Arterial Hypertension. Vice-President of the Association of Cardiologists of Bosnia and Herzegovina, ESC Nucleus Member of Working Group on Pulmonary Circulation and Right Heart, President of the Working Group on Arterial Hypertension of UKBiH and He served as the Editorial Board Member of Rheumatology International Journal, European Journal of Rheumatology, Mediterranean Journal of Rheumatology. He had published many papers and books. He also have done many research projects in his field. Galya Atanasova completed her Ph.D. training in Cardiology from Department of Cardiology, Pulmonology and Endocrinology at Pleven Medical University, Bulgaria. She is a Cardiologist, assistant prof. at the Department of Internal Medicine, University Hospital Pleven, and General Practitioner University, Bulgaria. She specialized in General Medicine from Pleven Medical University, Bulgaria during 1993. She has attended to many international events and presented her research work. She did many researches on metabolic syndrome and myocardial infarction of heart. Head of the Cardiology Dept. Prof. Dr. Çetin Erol is the Professor of Cardiology in the Cardiology Department at İbn-i Sina Hospital, Ankara, Turkey. He is the Head of the Cardiology Department and Head of the Dept. of Medical Sciences(2003-2012) , Board member of EAE (National Societies Committee (2004-2006), Credential Committee member (2006-2008), Research and Training Grant Committee member (2006-2008), President of Turkish Society of Cardiology (2006-2010), President of Turkic World of Cardiology Association(2008-2012), Member of the ESC Nominating Committee (2008-2010), Research and Training Grant Committee member (2010-2012), Member of the Committee for Practice Guidelines(ESC) (2012-2014), Member of The Higher Education Council for Turkey2013-2017, Councillor of the ESC Board (2014-2016). He was honoured with FESC in 1996, Research award for Behçet’s Disease from The Turkısh Scientific and Technical Research Association in 2000, FACC in 2001, Member of ASE in 2002. Dr. Rajesh Rajan MD, Ph.D, FRCP(UK), FRCP (Ire), FACC, FESC, FAHA is the current President of the Indian Association of Clinical Cardiologists. He has been the recipient of several distinguished fellowships, including those from the Royal College of Physicians UK&Ireland, European Society of Cardiology, American College of Cardiology, and American Heart Association. 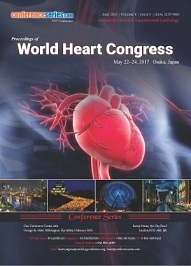 Dr Rajan has been in charge of various clinical research registries in heart failure and authored several publications. 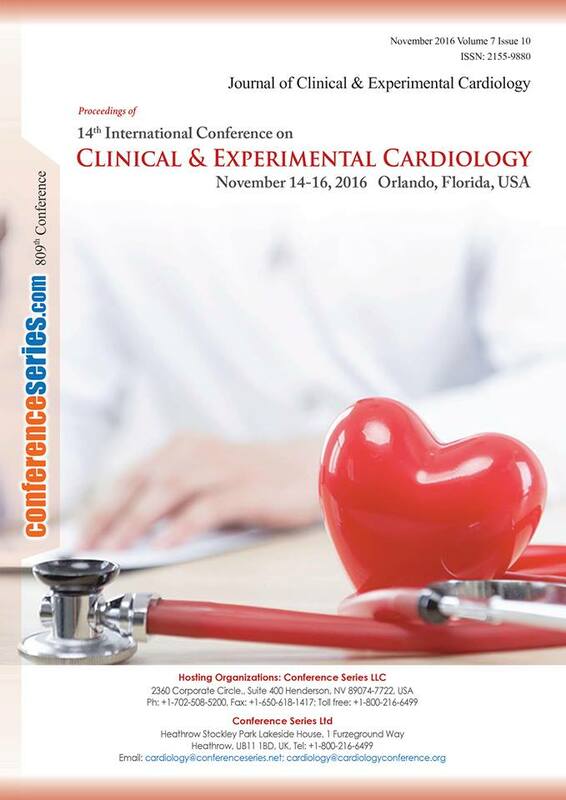 He is actively involved in various global forums and committees in the field of cardiology. 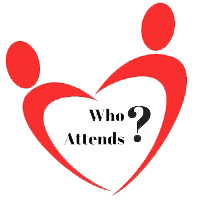 He currently works at Sabah Al-Ahmad Cardiac Center, Al-Amiri Hospital. Dr. Nikolaos Barampoutis works as a Cardiologist in University Hospital of Rion Patras. Ghada Atia is currently specialist in non invasive cardiology and echocardiography at shebin elkom teaching hospital that follows General Authority of teaching Hospitals and Educational Institutes , she hold post graduate master in cardiology from AIN – SHAMIS UNIVERSITY , she authored a documentary in cardiology (TTE 2D echocardiography ) about relation between MAC and LA function in 2012 published in national heart journal, and also she authored a documentary in cardiology ECG ( importance of lead AVR ) , she was one of the speakers in the first house officer annual Egypt conference in 2005 . 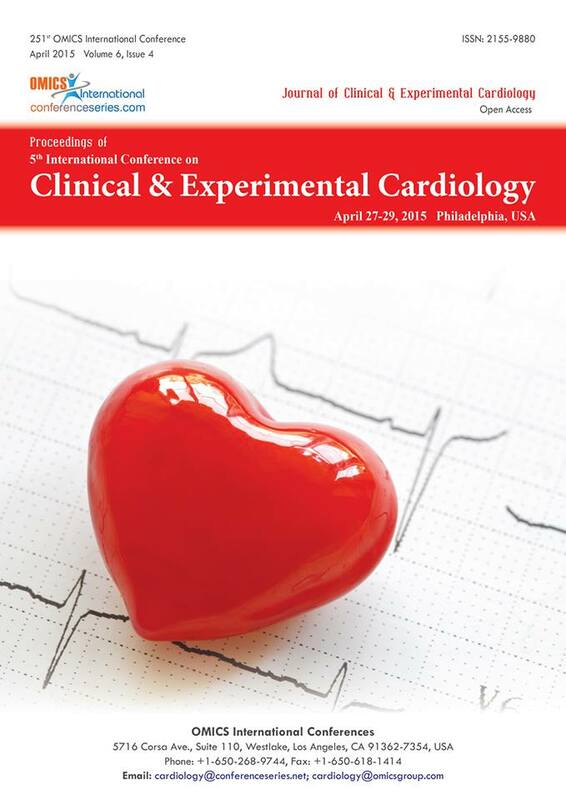 Also Ghada membership in the European and Egyptian society of cardiology (MESC). Armin Attar is an Assistant Professor, Director of cardiovascular regeneration and genetics program, and cardiovascular diseases registries, and Head of TAHA clinical trial group Department of Cardiovascular Medicine, School of Medicine and Cardiovascular Research Center, Shiraz University of Medical Sciences, Shiraz, Iran. Prof Dr Suvro Banerjee, MD, FRCP(London), FRCP(Edin), FICC, FCSI, FESC, FACC, FSCAI is a Senior consultant interventional cardiologist at Apollo Gleneagles hospital, Kolkata. He is a clinical examiner for the MRCP (UK) examinations and a postgraduate teacher for DNB, Cardiology. He was also an academic counselor and teacher for postgraduate students of Indira Gandhi Open University. He is currently the Secretary of Cardiological Society of India, West Bengal branch and an Executive Member of the West Bengal Academy of Echocardiography. He has been a Principal Investigator in many international clinical trials and is currently involved in epidemiological research. He has been a Steering Committee member for The Indian Consensus Guidance on Stroke Prevention in Atrial Fibrillation(2015), and the Joint Convener for the Cardiological Society of India (CSI) Guideline Committee position statement on the management of heart failure(2017). Dr. Ellahham has served as Chief Quality Officer for SKMC since 2009. Dr. Ellahham is a Board-certified internist, cardiologist, and vascular medicine senior consultant and continues to care for patients. Ellahham did his fellowship in Cardiology at the Medical College of Virginia (MCV) in USA. He is a fellow of the American College of Cardiology and a key member in Heart Failure and Transplant, Adult Congenital and Pediatric Cardiology, Cardio-oncology and Peripheral Vascular Disease Sections. He is the Eminent Editor of The Journal of Cardiology & Cardiovascular Therapy. He is also a reviewer for several peer-reviewed journals, including Joint Commission Journal on Quality and Patient Safety, etc. He received several research awards including the DuPont Pharmaceuticals Research Award, ACCP 58th Annual Scientific Assembly, Young Investigator Award; the Alfred Soffer Research Award and many.He serves on a number of US and international committees and advisory bodies. He is the Middle East Regional Chair of the Patient Safety Movement Foundation.Dr. Ellahham is Certified Professional in Healthcare Quality (CPHQ) by The National Association for Healthcare Quality (NAHQ). He is certified in Medical Quality (CMQ) by The American Board of Medical Quality (ABMQ). He is currently working as Cleveland Clinic Caregiver and cardiology consultant in Cleveland Clinic Abu Dhabi, in Abu Dhabi, UAE.